Ocean, resort and sunset views await YOU from one of HawaiiÃ¢Â€Â™s finest tropical estates in Kapalua. Perched at the summit of the Plantation Estates Phase II, this single-level estate offers panoramic views of Honolua Ridge, the Kapalua Ritz Carlton resort community and the islands of Molokai and Lanai. Built in 2017 and spaciously spread across 7,286 square feet of single-level living, this 4-bedrooms, 4 full bathroom and 3-half bathrooms estate offers everything and more! A theater (equipped with a 10Ã¢Â€Â™ screen), 300+ bottle wine cellar room, exercise room, home office, infrared sauna, 3-vehicle garage and game room complete with a pool table & fireplace. Indoor-outdoor living is created with the great roomÃ¢Â€Â™s 14Ã¢Â€Â™ walls with 20Ã¢Â€Â™ ceiling height and retractable sliding doors throughout the estate. 42 foot-long, saline Infinity-edge pool and spa. An extensive selection of granite, stone work, cabinetry, appliances and surface appointments have been thoughtfully and seamlessly integrated. The kitchen cabinetry is Sapele (African Mohagany) Counter and backsplash surfaces include River Blue polished quartzite, Terra Azul leathered granite, White Onyx with LED backlighting. Fully equipped with the most advanced state-of-the-art home automation and security systems. The Plantation Estates at Kapalua Bay is the most exclusive gated community in all of Hawaii. Information may not correspond to public records. Buyer/buyer's agent to confirm all information. A list of features, layout of the home and monthly expenses are available upon request. 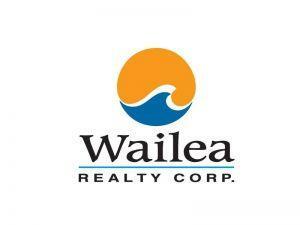 I am interested in 701 Mokuleia Pl, Lahaina, HI 96761 (Listing ID # 380142).